If you’re ready to take the step of launching your own business, it can be a nerve-wracking time. We know that the path to entrepreneurship is never an easy one, and if you’re new to running your own company, it’s only natural to have some concerns. Even if you are already an experienced entrepreneur, it’s always useful to be able to access more expert advice and to get extra tips that can help you to boost your business and take it in new and exciting directions. BuildUp is here to offer both experienced and novice entrepreneurs all the help and advice they need to be a success in their chosen industry. Whatever sector you are operating in, you can find help and support here that will inspire, inform and educate. 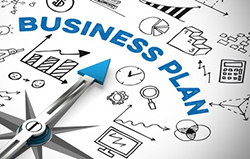 The very first step in setting up your own enterprise is to draw up an effective business plan. Not only is this an essential element in securing funding for your operation but it is also vital for giving your business an overall direction and purpose. Without an effective business plan in place, it is impossible to determine the direction that your company should move in. Without an overall goal or purpose, how can you achieve anything definite? Here at BuildUp, we will offer you advice to help you draw up the most effective and comprehensive business plan to suit your needs. By following our guidelines, you’ll be able to determine a direction for your company to move in and be able to pinpoint the best ways to help your enterprise grow and thrive, whichever market you are operating within. Starting up a new business is never going to be a breeze, but it’s also a very exciting time. The key to a successful start up is to find a niche in an increasingly overcrowded market and to find the best way to make an impact in your chosen sector. We can offer you advice about how to make your company stand out from the crowd so you can establish a strong presence. Securing business loans is harder than ever before, and therefore sponsorship is one way for owners to get the funding they need. However, finding a sponsor can be a challenge. If you need additional funding to support your operation, which is the case for most start ups, it can be a challenge to secure a suitable sponsor for your organisation. We can offer you valuable advice about how to secure suitable sponsorship for your company and advise that you widen your net and look in directions that you may otherwise have ruled out. For example, if you are operating within a sports-related industry, you may be able to secure funding from a sports betting company. Although this is still a widely debated topic, there are still considerable links between the sporting industry and sports betting operators, and harnessing the potential of these strong associations could be extremely valuable to your business. While you may think that a gambling operator may not be a good fit with a sports brand, there is a long history of betting companies supporting the sporting industry, and with some of the biggest profits when compared with other types of organisation, it makes sense to approach these affluent potential sponsors to provide you with the cash influx that you need as well as the ability to influence and engage people who are critical to your start up’s success. The connection between the two sectors may be a hotly debated one, but at present it is still a valid choice which could prove beneficial to your organisation. 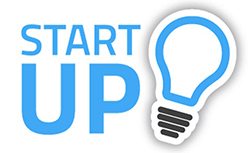 As part of our service, BuildUp can offer you a host of useful advice about securing a sponsor for your new start up, so you can obtain the funding you need to help establish your brand in the marketplace. Another aspect of running your own business which needs to be addressed is ensuring that you have adequate insurance cover in place both to protect you and your organisation and to protect the general public. Having suitable protection for your business premises and equipment is something which you have probably already considered – after all, no business can afford to replace expensive machinery, computers or other work-related equipment if they are damaged or stolen. Ensuring that you have secured a policy which will help you to cover your losses in the event of fire, theft or other damage is essential for any business owner. However, there are other insurance aspects to consider if you are operating a company which offers goods and services to the public, you may well be required to invest in public liability insurance so that you are protected from any potential losses in the event of a compensation claim due to property damage or injury. If you are employing any workers, you also have legal requirement to invest in employer’s liability insurance to protect you should one of your employees become ill or injured due to some aspect of their employment. One further type of insurance you should consider is professional indemnity insurance. This will protect you should any professional knowledge or advice that you impart result in a claim for compensation from one of your clients. Although the idea of taking out insurance may be an unwelcome expense, it is absolutely vital to protect yourself and your new enterprise from any financial loss. There are many companies which specialise in providing insurance to small businesses, and which can tailor a package to suit your individual requirements. We can offer you advice in this respect too so that you can have optimal cover for your organisation. Here at BuildUp, we’ve made it our mission to help enterprise owners old and new. By visiting our site, you’re taking the first step towards a successful, thriving business, and by taking our advice on board, your company is sure to grow and excel in your chosen sector.